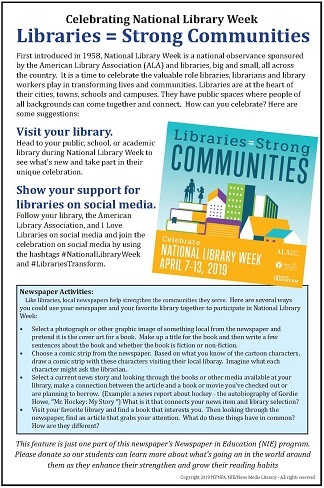 The NYNPA Newspaper In Education Program is offering all member newspapers these features to help you raise money and awareness for your local NIE efforts. We are creating a continuous series of stand- alone, 4 column x 10", monthly features, each based on something significant taking place that month. Contact Mary Miller at mmiller@nynpa.com to receive the high resolution PDF file for publication. 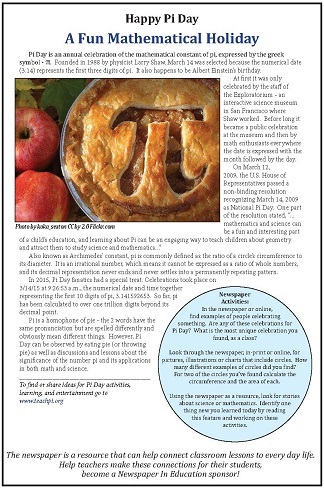 These features are free to all NYNPA member newspapers and available for a minor fee to non-member publications. Please note: Future feature topics are subject to change without notice. For a complete list of curricula developed by the NYNPA NIE contact Mary Miller at mmiller@nynpa.com or (518) 449-1667 x701. 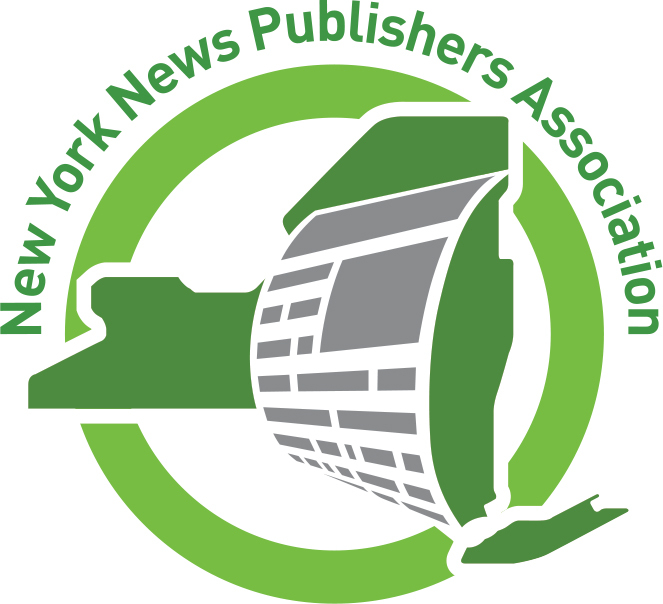 If you'd like to make a donation to the NYNPA Newspaper In Education program, simply press the Donation button below. Your generous gift will be processed through the New York Newspapers Foundation's secure PayPal account.